Keep in mind that these plans are specifically for WooCommerce stores. Here’s a list of Liquid Web coupons for their regular managed WordPress and cloud hosting plans. Why is Liquid Web Managed WooCommerce So Expensive? When compared to many of the basic plans out there, Liquid Web seems ridiculously expensive. For example, some of the cheapest WordPress hosting plans start out for as little as $1 a month! But then, as soon as your site begins to get even a little bit popular, boom! It slows down or fails altogether – at precisely the moment when you needed it most. Liquid Web has souped up WooCommerce with speed and a whole bunch of benefits. See the complete list of benefits below. Liquid web has one of the most sophisticated and responsive customer service in the industry. It’s on my list of top 3 hosts with the best customer support, and quality support isn’t cheap. Expert knowledge, 24 hrs a day, and they also own their own datacenters. All of this, combined with the quality hardware and expertise of their hosting, leads to the pricing you see. Can’t I Just Host WooCommerce Myself on WordPress? You most certainly can. But the more traffic your site gets, the more complicated it becomes. It’s not just about resources like RAM and CPU, but also about optimization, choosing the right technology, making your database efficient, and a lot, lot more. Without all this, your site will one day come to a standstill. And it’s tragic because it’s a result of too much success. What’s the point of putting all that effort into your store, and creating content, only to have it fail precisely when it’s needed the most? So the answer is yes. If you have the technical knowledge, you can very much run your own WooCommerce site on a VPS or dedicated server. But while you won’t pay a 3rd party, you will nevertheless be spending enormous amounts of time and effort – efforts that can otherwise go into improving your site. So one way or another, you will pay. It’s just a question of where you want to put your focus – on the technical side, or getting your site out there, marketing, making contacts etc. This is a hard truth. Why is WooCommerce Hosting Different from WordPress Hosting? If you’ve decided to buy hosting, why not just choose regular WordPress managed hosting? Why specifically WooCommerce? After all, a provider like Kinsta provides top-notch WordPress hosting, so why not go with them instead? The reason is that WooCommerce has a fundamentally different function compared to the rest of WordPress. WordPress was conceived as a blogging platform, and its structure reflects that. It’s meant to deliver content efficiently. If people visit your site to read your content, then WordPress works great out of the box. With efficient paging, the load on your database can be minimized. As your traffic grows, it can easily keep up. WooCommerce on the other hand is about transactions. It’s dynamic. The database is in constant use, whether it’s pulling a list of products to display, showing the latest pricing and discounts, or storing and retrieving customer data. The CPU is always on the move calculating tax, price reductions, shipping, and running all the scripts that make the magic happen. WooCommerce doesn’t fit in with the rest of WordPress thematically. Sure, you can install it as a plugin, but too much happens under the hood that’s inefficient. Everything may seem fine for a while, and then suddenly you’re hit with a spike in traffic and your entire site become inaccessible. What should have been a moment of joy turns into a moment of distress and lost opportunity. For this reason, WordPress hosting and WooCommerce hosting are two separate ball games. Sure, you can make WooCommerce work if you throw enough resources at it. But believe me, those costs will add up fast. What are the Benefits of Liquid Web WooCommerce Hosting? Liquid Web’s WooCommerce platform is relatively recent – the launched in 2018. They’ve put a lot of thought into it, with a bunch of value additions that really make it attractive. Here’s what you get. Your site suddenly gets >200% traffic in a single day. Sometimes in a single hour! This can be heartbreaking. A traffic surge is supposed to make your happy. An unexpected volume of visitors means more sales. You could lose out big. So how do we prevent this? The problem lies with the nature of web traffic. You can’t provision for maximum traffic, because it’s a rare event. And you can’t be content with your current capacity because you’re not prepared for a big jump. There’s no winning! It’s especially worse with e-commerce platforms like WooCommerce, because as mentioned above, page caching can’t help. The platform is dynamic, and the CPU and database are working the same amount for each customer. There’s very little you can do in terms of efficiency. And this is what Liquid Web managed WooCommerce hopes to prevent. In the event of a traffic spike, your resources will scale smoothly with no downtime. This means that you can capitalize on a surge of visitors when it happens, and yet not overpay during the “low” or “normal” period. Every business has certain times of the year, or month where they know they’re going to get a lot of traffic. Black Friday is the most common example. But of course, the entire Holiday season fits the bill, and whatever even your site caters to. Ideally, you’d like to load test WooCommerce to see how it reacts to a traffic surge. The problem is that normal shared hosting providers are hopelessly oversold. There’s no way they’re going to allow you to do a performance test on a live site, and risk blowing up the installations of all the other sites on the servers. At best, they’ll tell you to create a duplicate site in a sort of staging environment and take it from there. Except that this defeats the purpose of a stress test. You want to see if your live site can handle the load, not whether an artificial staging site can! And this is where Liquid Web’s WooCommerce testing comes in. Using pre-defined tests, you can prepare your site in advance for a huge surge in traffic. The simulations will give you valuable information about response times, and test if anything breaks. So when your customers finally arrive at that time of year, you’re ready! Google Analytics is a great tool, but it’s not specifically geared towards e-commerce. It doesn’t handle inventory management, auto-segment your loyal visitors, or give you insights into ways you can increase the average basket value of a customer. Data analytics is the way to improve your site. And Glew is a premium add-on from Liquid Web that’s available for free! Another great benefit is that all this data processing happens off-site and doesn’t strain your servers. Glew takes care of the heavy lifting, and leaves your site’s resources free to service customers faster. The low hanging fruit of e-commerce is people who have already viewed your products and placed them into a cart. Liquid Web integrates with “Jilt” – a service that allows you to reach out to these users and lure them back with enticing offers and discounts. Jilt is available for free on even the basic Liquid Web WooCommerce plan. It starts with targeting 50 engaged users, and scales from there depending on the plan. 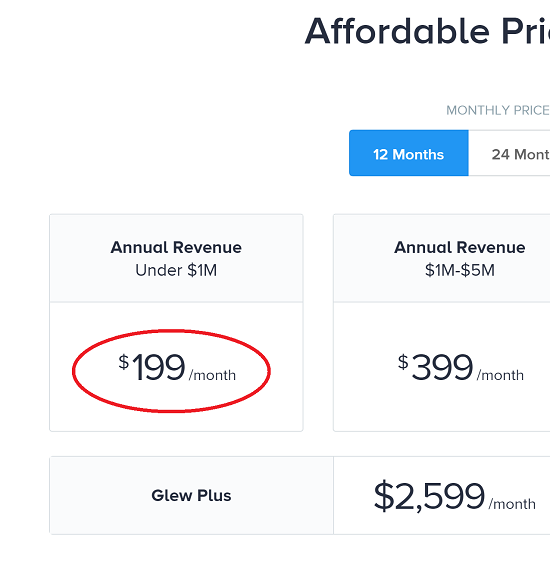 By itself, Jilt starts at $30 a month and expands from there. But being a part of Liquid Web for free is a great value addition! As mentioned before, WordPress was never meant to handle vast quantities of transactional data. Which is why the Liquid Web team has restructured the underlying tables to improve performance by over 85%. In fact, Liquid Web has open-sourced this new table structure. Here’s the project on Github. This is an example of Liquid Web’s work on the backend of their WooCommerce platform that silently improves the performance. This, and a whole other bunch of optimizations is what makes them special. In summary, managed WooCommerce hosting by Liquid Web is one of the most unique products on the hosting market today. If you have a website that’s primarily geared towards e-commerce, then you should take a real close look at this. What you need is a product that gives you room to grow, without all the headaches and other optimization problems of WooCommerce. And that’s exactly what Liquid Web provides.